Elegant and stylish, our Jambu beads Elanora Necklace features a layered design that will be sure to turn heads, and keep your little one occupied! 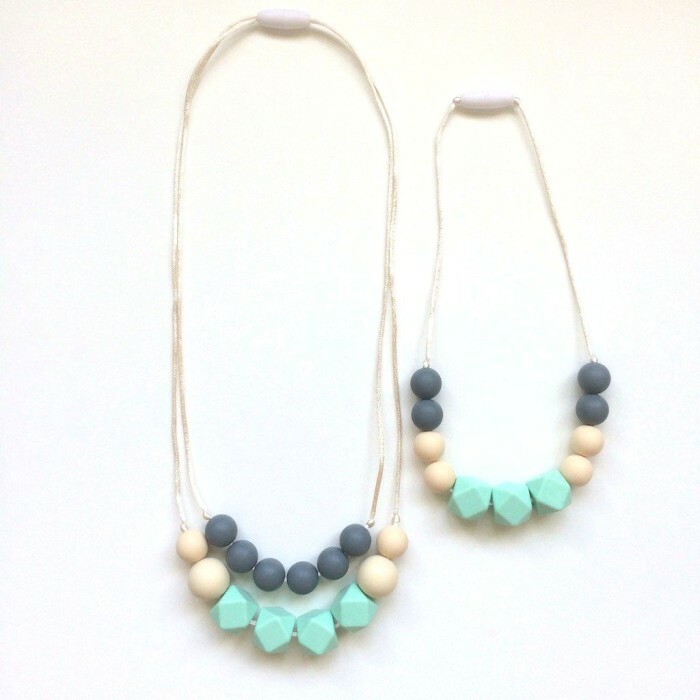 This stunning set features a matching Elanora Kid’s Necklace (suitable for children ages 3+). SKU: N/A. Categories: *BUNDLES*, teething jewellery. Tags: baby friendly jewellery, baby safe jewellery, Jambu Beads, silicone jewellery, teething jewellery, teething necklace. 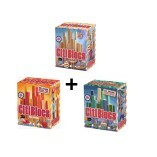 Keep curious little hands & mouths busy…and look stylish while doing it! 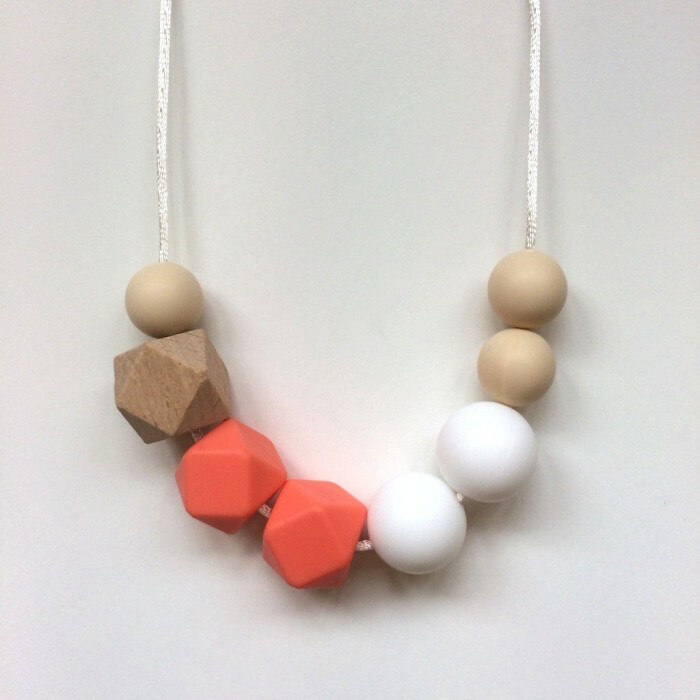 Made from 100% non toxic, BPA and heavy metal free food grade silicone and natural, untreated maple and beech wood, all our Jambu beads products are safe for babies to chew on. Available in a variety of colors, shapes and sizes, our handcrafted jewellery and teething accessories are designed to stimulate your baby’s sensory exploration and aid motor development. Suitable for women of all ages and stages in life, our gorgeous necklaces and bangles are waterproof and incredibly durable – so you don’t even have to be toting a little one to enjoy these beautiful items! Wear them to the office, out and about, or even at the beach if you want! 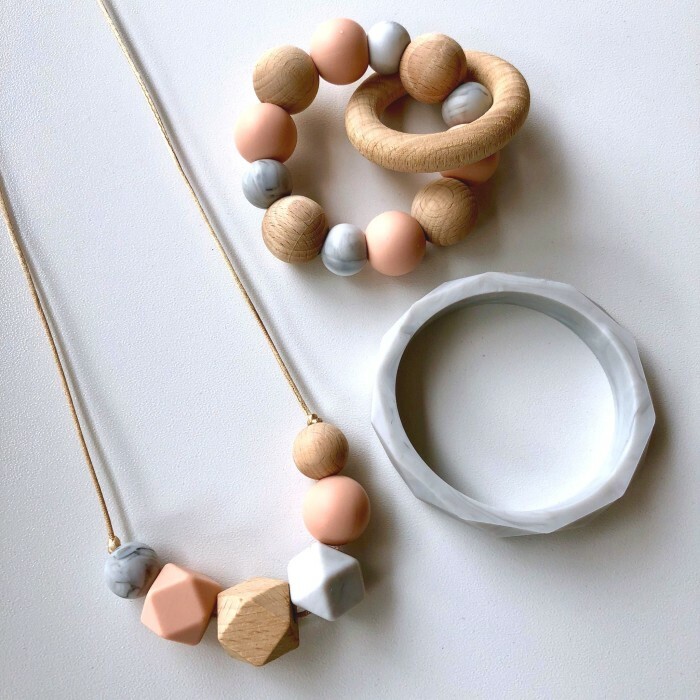 Check out our beautiful range of silicone jewellery and teething accessories – lovingly designed and handmade in Singapore. 100% food grade silicone beads, safety standards approved. Free from BPA, PVC, Phthalates, lead, cadmium and heavy metals. The soft texture is safe for baby and perfect for sore, teething gums. Feature beads are made from natural, unfinished beech wood. Naturally anti-bacterial, non-toxic and non-allergenic. 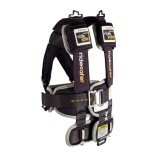 Features a gold silk nylon cord and breakaway safety clasp (clasp is not chewable). Wash before use and regularly as needed with warm, mild soapy water or simply wipe over with a baby wipe. Do not submerge this item as it can effect the quality of the wood. WARNING: This necklace is not a toy and is designed to be worn by adults only. DO NOT leave a baby unattended with this necklace as it contains small parts that can pose a choking hazard and a long cord that is a strangulation risk. The cord and clasp are not designed to be chewed on. Chewing these items may compromise the integrity of the parts and result in breakage. Inspect the product for signs of wear before each use and discard any item that has been damaged. What are your products made of? Jambu beads products are made with BPA free, non-toxic food grade silicone that has been independently tested and certified as safe for babies to chew on. 100% food grade silicone, safety standards approved. 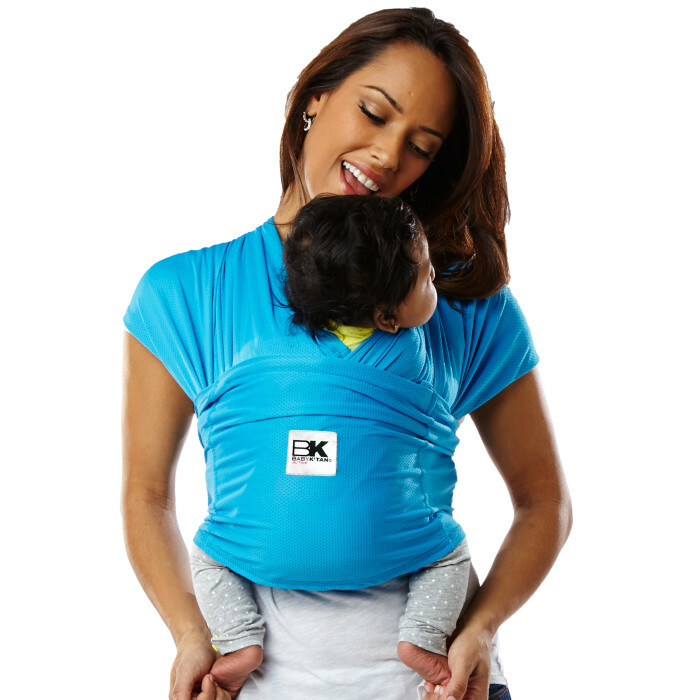 Necklaces and baby wearing accessories feature a silk nylon cord and breakaway safety clasp (clasp is not chewable). Our wood products are made from natural, untreated maple and beech wood. Naturally anti-bacterial, non-toxic and non-allergenic. You may use an edible baby friendly oil such as organic coconut oil, olive oil or similar, to condition the wood. Can my baby wear my Jambu beads necklace or baby wearing accessory? 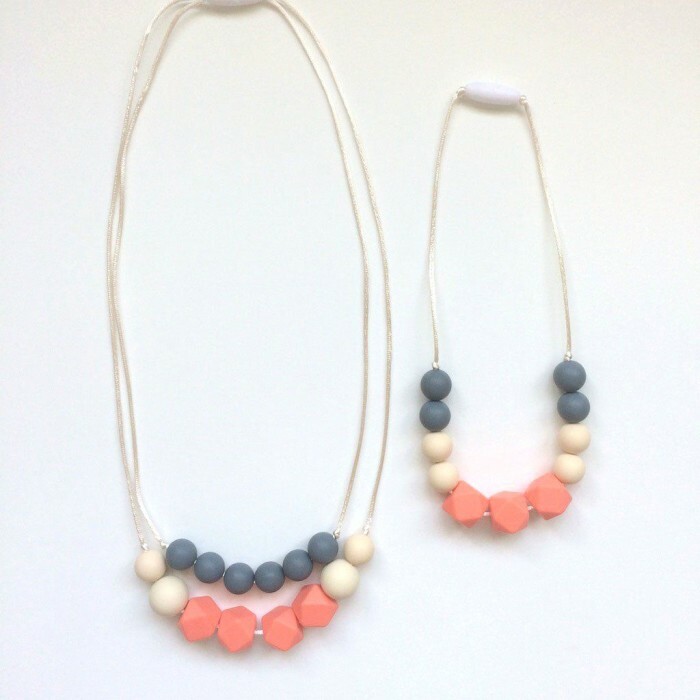 Although safe to chew on, Jambu beads necklaces are designed to be worn by adults only. These products are not toys. Use only under adult supervision. 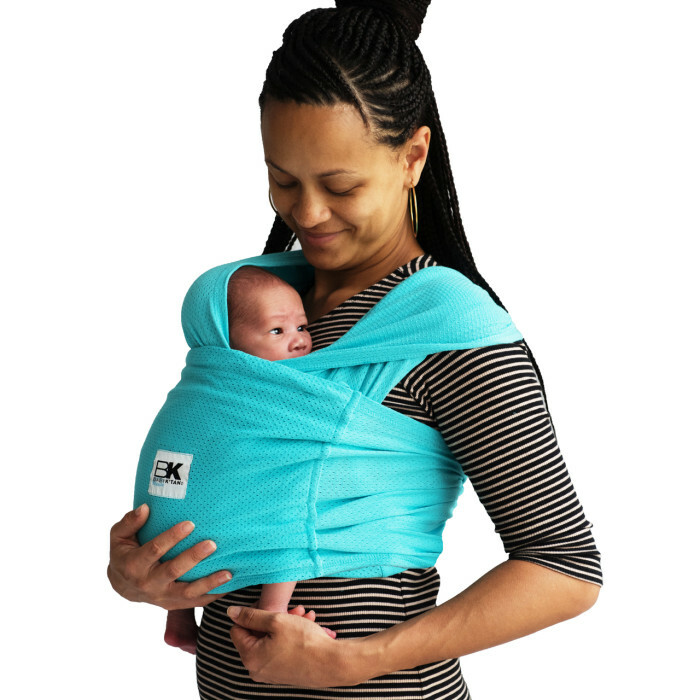 DO NOT leave a baby or toddler unattended with a Jambu beads necklace or baby wearing accessory as they can pose a choking or strangulation risk. The cord and clasps/clips used on our necklaces and baby wearing accessories are not designed to be chewed on. Chewing these items may compromise the integrity of the parts and result in breakage. Can I give my baby my Jambu beads bangle to play with? YES! Our solid bangles are safe to give to your little one to chomp on and explore under adult supervision. Are Jambu beads teethers safe to give to my baby? YES! Our adorable teethers are safe to give to your baby to use under adult supervision. How do I care for my Jambu beads products? All our silicone products are washable, durable and heat resistant up to 65deg C. We recommend hand washing before use and regularly as needed with warm, mild soapy water or simply wipe over with a baby wipe. They can also be placed in the top rack of a dishwasher, up to 65deg C. Please avoid using harsh cleaning agents and anti-bacterial products, and do not boil, steam or sterilise Jambu beads products in the microwave. The silicone used in Jambu beads products is naturally anti-bacterial and anti-fungal. Please do not submerge wood products in water as it can effect the quality of the wood. Wipe clean only. How long will my Jambu beads products last? The silicone used in Jambu beads products is incredibly durable, so if you take reasonable care of them, your jewellery and accessories should last a long time! Given that they are likely to be chomped and gnawed on regularly by little teeth, however, please do inspect the product for signs of wear before each use and discard any item that is damaged. Can I put Jambu beads products in the fridge to help provide teething relief for my baby? YES! Chomping on something cool can provide welcome relief for tender little gums. You can place Jambu beads silicone products in the fridge and ditch the potentially hazardous medications and teething products. Please do not put our products in the freezer as it can compromise the structure of the silicone and cause it to crack. All our Jambu beads necklaces and baby wearing accessories are designed in Singapore. Components are sourced from international suppliers, and then our custom creations are hand-made with love in Singapore. Can I adjust the length of my Jambu beads necklace? You can adjust the length of any Jambu beads necklace that features an exposed cord. Simply untie the knots securing the breakaway clasp to the necklace, cut to the desired length (leave 1cm extra length for the knot), retie a knot at the end then slide the clasp back down over the top.